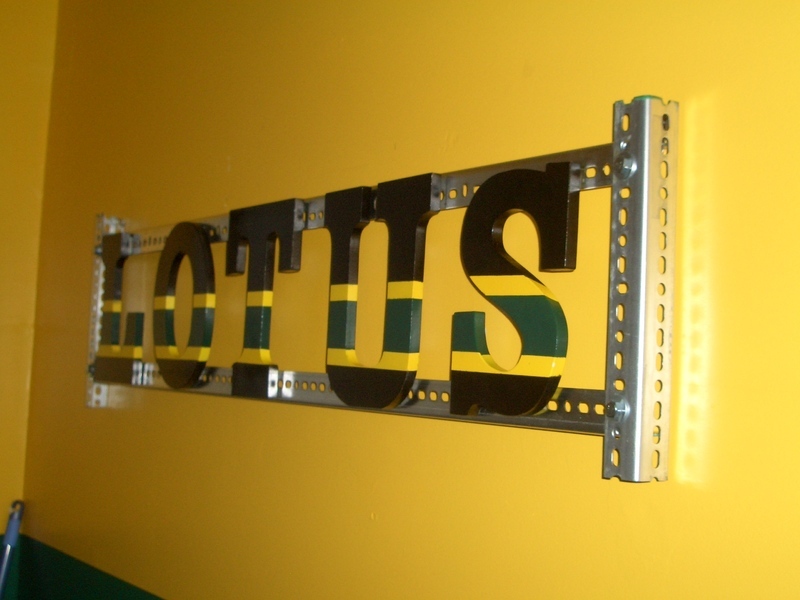 LotusTalk - The Lotus Cars Community > Community > Garage Majal > Some LOTUS "art work"
I have been working on dressing up my garage. Its the place in the house that my wife will let me do whatever I want to. So I thought some "art" work on the walls would be a nice touch. 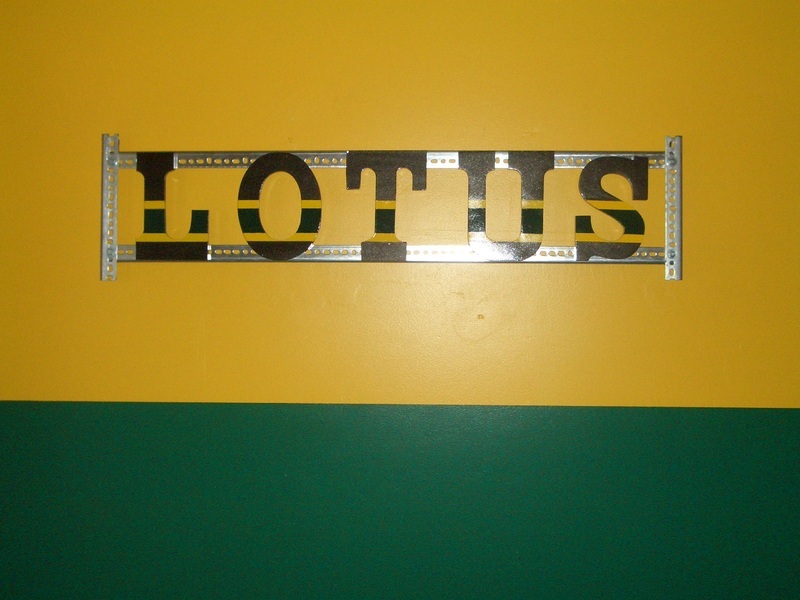 I will follow it up with some framed pictures and other Lotus memorabilia. I think this turned out sweet and wanted to share it with everyone here. I am by no means an artist but like to be creative, sometimes it works out and others not so well. I was thinking "Jamaican bobsled," too. Jamaican bobsled nice! Well after I painted the walls some friends thought I did it for the Green Bay Packers. 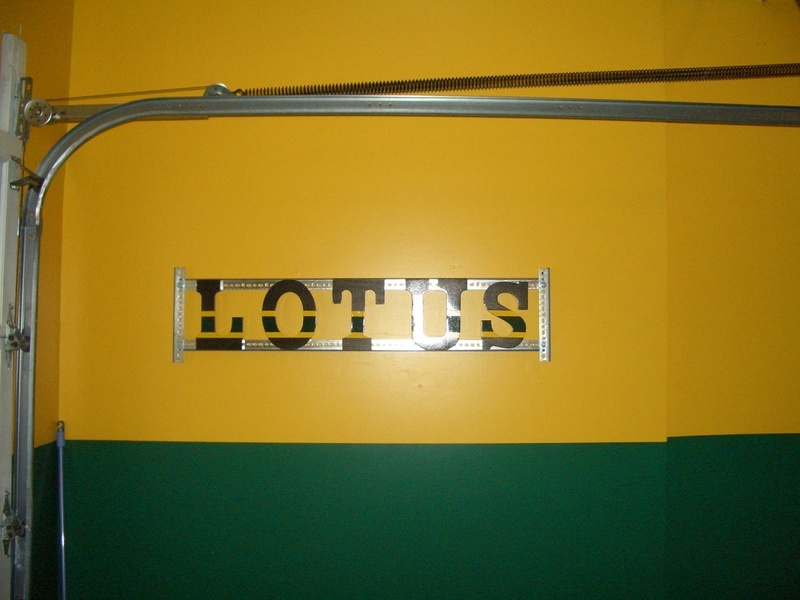 I had to explain to them that it was the Lotus colors. Yo been smokin de ganga man!! mount it directly to the wall and get rid of the frame it is attached to. the lettering looks like it took a while; the frame looks like it took 5 mins tops. The frame gives it a arty/ industrial edge . Sign would be a little flat without it , leave as is IMO. That was my thinking. I like the industrialness of the frame.